Guarani-Kaiowas Indigenous People. 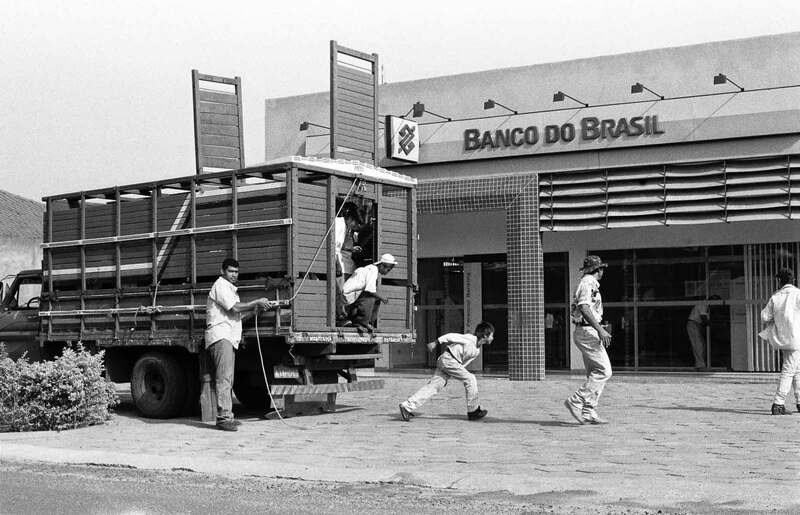 Merchants transport the Indians in cattle trucks from Sossoro Indigenous Reserve to the nearest Banco do Brasil agency in Tacuru city once a month where women with children and retired people receive the Government assistance and then are guided to spend their money on the local retail market at abusive prices. Mato Grosso do Sul State, Brazil.